Applications are invited for a postdoctoral researcher to characterise potential landing sites for the ESA ExoMars rover. The project will be based in the Department of Earth and Planetary Sciences at Birkbeck, University of London, funded by a grant from the UK Space Agency. The research will involve the use of remote sensing data to conduct detailed geological analyses of potential landing sites on Mars. Of particular importance is the development of testable hypotheses to aid potential future geological exploration of the landing site. 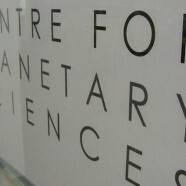 The successful candidate will be part of the Institute of Earth and Planetary Sciences at UCL/Birkbeck, and located in the UCL/NASA Regional Planetary Image Facility. The successful candidate will work as part of the UK ExoMars landing site consortium, made up of Prof Sanjeev Gupta (Imperial College London), Prof John Bridges (University of Leicester), Dr Matt Balme (Open University), Dr Joe Michalski (Natural History Museum) and Dr Peter Grindrod (Birkbeck, University of London). The postdoctoral researcher will be line-managed by Dr Peter Grindrod. Salary: Grade 7, £36,150 – 38,126 per annum, inclusive of a London Allowance. This post is full-time and fixed term for up to 12 months. The closing date for completed applications is 29 February 2015. Informal enquiries can be made to Dr Peter Grindrod, email: p.grindrod@ucl.ac.uk or telephone 020 7679 7986.